Flaunt silky smooth hair with these easy-to-do tips! Shampoo and conditioner are as vital for your hair, as face wash and moisturizer are for your facial skin. Just as your freshly cleansed skin needs softening and nourishing replenishment of hydration and natural oils through a moisturizer, your freshly shampooed hair also need some tender loving and care given by a good hair conditioner to look and feel silky, glossy and healthy. A hair conditioner replenishes your hair’s natural oils that a shampoo washes away along with the dust and grime deposited on your hair. 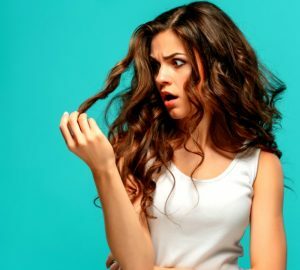 Hair gets frizzy when the cuticles (hair strand’s outer surface made of overlapping scaly units) get disturbed and develop static due to leaching away of natural oils. A premium quality hair conditioner like WOW Skin Science Hair Conditioner enriched with natural botanical (not synthetic) fats gently replaces natural oils, softly smoothens out roughened cuticles, seals in moisture and makes your hair reflect light for higher gloss. Contrary to what most people do, using hair conditioner is not as simple as taking out a dollop, slathering it on your scalp and washing it off. For best results, you need to know how to use your hair conditioner to get the best results for your precious crowning glory. Do you know there are 3 effective ways to use your hair conditioner? 1. After every shampoo, apply conditioner only on your hair, not on scalp and roots. 2. Once a week, apply hair conditioner on scalp as well as hair. 3. Once a fortnight, use your hair conditioner as a hair mask. Let’s check these out one by one. 1. After every shampoo, apply conditioner on hair but skip the scalp and the roots. Excessive conditioning every time you shampoo can weigh down your hair with oily residue build-ups. Think of it, instead of boosting gloss, it can actually make your hair look dank and limp! To ensure that you only tame frizz and boost gloss, apply a small amount of hair conditioner post shampoo only on hair strands and stop 2”to 3” away from the roots. Comb through gently with a wide toothed comb or fingers. This will spread the conditioner evenly and make the hair cuticles smooth all along the length of the hair keeping the scalp light and the hair roots springy for bouncy and shiny locks. A great regimen for weekends. Shampoo your hair, gently squeeze out all the water and then apply a reasonable amount of hair conditioner all along the hair and also on the scalp. Massage lightly using circular motions with fingertip pads to stimulate blood flow in scalp. As a bonus, this scalp massage is very soothing and de-stressing too. Comb through with fingers or a wide toothed comb. Wait for 5-7 minutes and then rinse off using plenty of water. This weekly conditioning regimen will nourish both your scalp and hair without creating heavy build-ups. Every 15 days or so, let your discover the total revival through deep conditioning delivered by using your conditioner as a hair mask. Shampoo and towel dry your hair as usual. Now apply your hair conditioner generously (don’t skimp on the quantity, please!) all over hair, roots and scalp, massaging it in using circular finger strokes. Now comb through with fingers or a wide tooth comb. The next step is what makes a real difference. Don a shower cap tucking in all the air. Even better, wrap a hot towel turban-style around your hair. This will make the conditioning oils penetrate deeper into hair and scalp. Leave it like this for anywhere between 10 minutes to half an hour. If your hair is very frizzy or damaged, leave it on longer. Now unwrap, lather up and wash your hair using plain cold water. Let your hair dry naturally. Now that you know these 3 great ways of using your hair conditioner, find out how to choose the right conditioner. To know just how good your hair conditioner is, read the label and ingredient list carefully. What your hair conditioner shouldn’t have: It should be totally without sulphates, parabens and mineral oils. Sulphates dry up hair, parabens cause hormonal imbalances and mineral oils are synthetic oily substances that clog up and suffocate hair pores. Your hair conditioner should also be totally free of silicones that weigh down hair. WOW Skin Science Hair Conditioner is totally and guaranteed free of harmful sulphates, parabens, mineral oils and silicones. What your hair conditioner should have: Botanical proteins, seed oils, plant waxes are all good, healthy ingredients to have in your hair conditioner. WOW Skin Science Hair Conditioner is loaded with wheat protein, vitamins B & E, olive oil, virgin coconut oil, avocado oil, argan oil, sweet almond oil and many more botanical actives for holistic, healthy hair care. Buy it with confidence to end bad hair days. While we completely leave it your judgement over which product is best for your to use, we hope you can consider the Wow Ultimate Hair Care Kit as there is nothing better than these products for your hair. Don’t let hair fall, dandruff, itchy scalp, roughness, dullness, split ends, frizz, dryness, brittleness, breakage and tangles take away the beauty of your hair…. …With WOW Hair Care Combo, you can get stronger, smoother, silkier, glossier and dandruff-free hair every day. Extra Virgin Olive Oil, Sweet Almond Oil, Moroccan Argan Oil, Jojoba Oil, Grapeseed Oil and Safflower Oil – Rich nourishment, essential fatty acids, and intensive hydration benefits. Vitamin E – Boosts cell production for hair growth, provides antioxidant protection. Rosemary Essential Oil &Tea Tree Essential Oil – Eliminate dandruff, strengthen hair and enhance gloss. More On This Topic – Not Just Body, Apple Cider Vinegar Is Great For Your Hair Too!